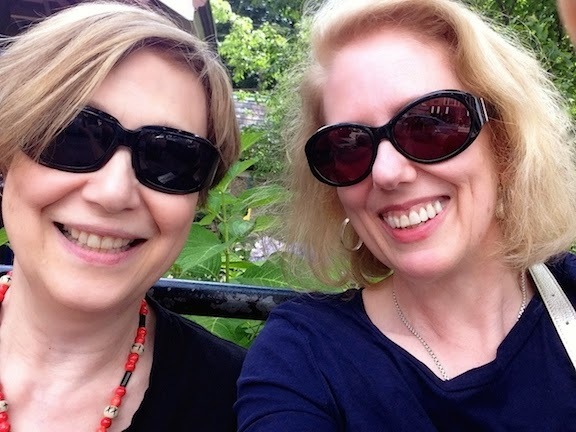 This blog was suggested by a schoolmate of my daughter's, a girl who saw the little leather purse, left, and thought the story behind it might make a good TNHG post. She's right – and what intrigued me the most is that she's just about the same age as the young woman who originally owned that purse. 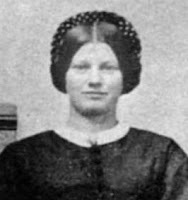 Born in Gettysburg, PA, Jenny Wade (1843-1863), below, was a seamstress employed by her mother. A fervent Union supporter, she was likely engaged to marry Johnston Hastings "Jack" Skelly, a corporal in the 87th Pennsylvania. In one of those terrible coincidences of history, Jenny, her mother, and her younger siblings left their home on the first of July, 1863, for the house of her sister, Georgia McClellan, which they believed to be in a safer location in the center of town. The war had suddenly become inescapable, with nearly 160,000 Confederate and Unions soldiers converging on their small Pennsylvania town. As the battle raged nearby, Jennie and her sister made loaves of bread, running out to the street to give them to the Union troops marching past on their way to join the fighting. With gunfire ringing throughout their neighborhood (more than 150 bullets have been found in the walls of the McClellan house), the women struggled to keep life as normal as possible. Early on the warm Friday morning of July 3, Jennie was standing in her sister's kitchen, kneading dough for more bread. The small leather purse, above, was in her pocket while she worked. As she bent over the dough, a Confederate sharpshooter's bullet entered the kitchen and struck Jennie. The ball pierced her left shoulder and passed through her heart, finally burying itself against the bones of her corset. Jennie died instantly. Her body was discovered by Union soldiers, and she was buried in the back yard of the house. Legend says that her grief-stricken mother went on to finish the bread that Jennie had been kneading, giving the loaves to Union soldiers along with the story of her daughter's death. When the horrific Battle of Gettysburg was finally over, the casualties on both sides were estimated at between 46,000 and 51,000 soldiers – the highest number for any Civil War battle. Yet only one civilian was killed: Jennie Wade. Within a week, her sweetheart, Jack Skelly, was also dead, perishing from wounds received at the Battle of Winchester. 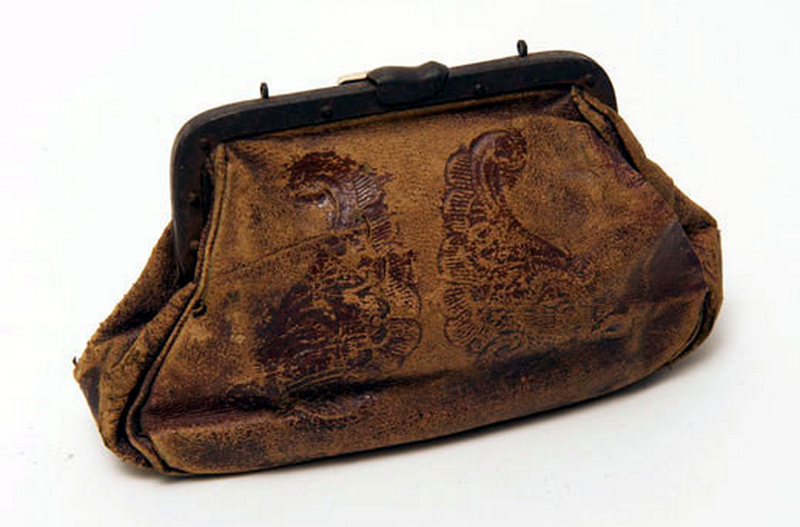 Looking at that remarkably ordinary little leather purse, it's hard not to think of Jennie and Jack, and all the hopes and dreams that must have ended for so many young couples in that hot July of 1863. Many thanks to Hannah Boettcher for suggesting this post! Congratulations to All the Classes of 2014!